I've been meaning to review this for a while. I'd planned to post it as part of a I Do Hear A Single thing, but I haven't done one for a while and the EP deserves stand alone attention. Cavan's Paul McCann has spent time around the likes of Duncan Maitland and it shows. The stand out song is the Power Pop Gem, Keep The Devil Within. It has all the hooks and jangles required and it's testament to Paul that the rest of the EP isn't from the same mould. Widow Maker Blues features Majella O'Reilly and is storytelling Folk Country with banjo and all the twangs. All The Words You Say is a big ballad, very 70's, very good with a fine guitar solo. The Magician is like Jefferson Airplane in singalong mode. It's a sweeping five and a half minutes with a late 60's West coast solo. 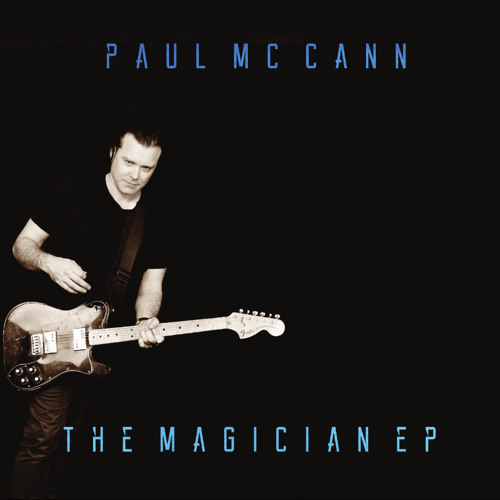 All in all, The Magician is a really varied four track EP. Although it shows off Paul's obvious talent, the variance may confuse people as to what he's about. It's a splendid introduction, but I can't help feeling that the strength of Keep The Devil Within means that Power Pop is his true way forward. You can buy the EP here, there and everywhere.